The FDA and ISO 9001 require manufacturers to institute comprehensive and rigorous pre-production quality assurance processes to assure that design defects will be eliminated prior to manufacture and product sale. 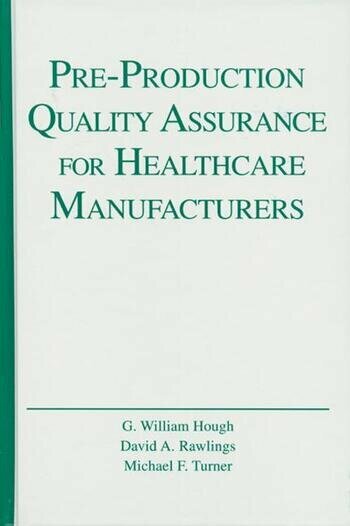 Pre-Production Quality Assurance for Healthcare Manufacturers addresses the product design and development phases for a medical product life cycle and shows how this effort can be successfully undertaken in accord with current Good Practice and ISO 9001. 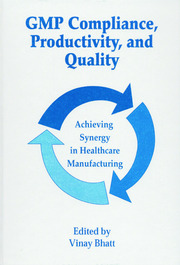 The authors provide a detailed step-by-step approach to ensuring that effective pre-production quality assurance is established and effectively in place and explore the key concepts of design, product, and process.